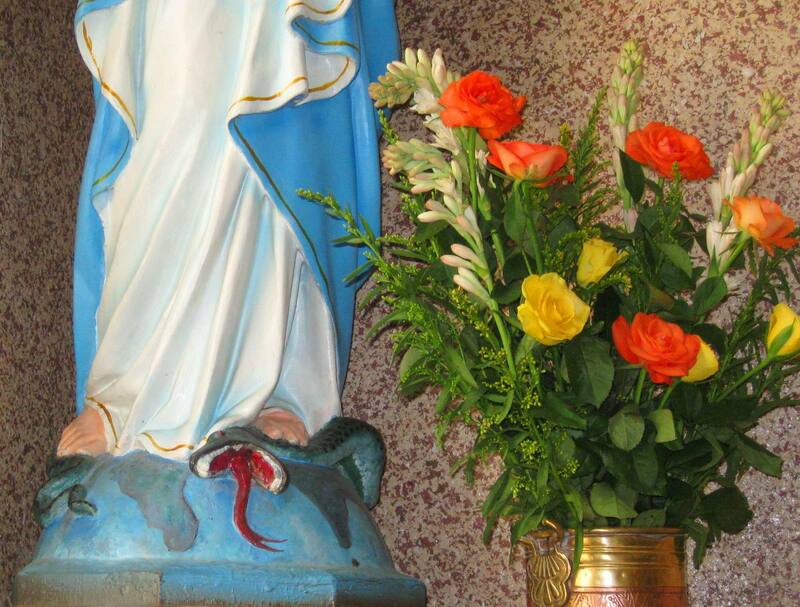 Years ago statues of the Virgin Mary were made with Her crushing a serpent at Her feet. Could be some misguided symbolism at work at Holy Rosary. I was thinking exactly that when I first saw the title of this thread. But since your pic is a demon or something, maybe not. Mao, I would love to read your thoughts on this. So no one knows where this snake came from or who put it there and why? What happened to the camera that was facing that area? JERSEY CITY — Cops in Jersey City see a lot but a dead Colombian red-tailed boa constrictor draped on a statue of the Virgin Mary may be a first. Police stumbled upon the desecration soon after 8 a.m. on Wednesday. The statue sits at the corner of Seventh and Brunswick streets in Jersey City, outside the Brunswick Center. The building includes a private preschool.